We make every attempt possible to find benefits that will help you as you go through the disability process. 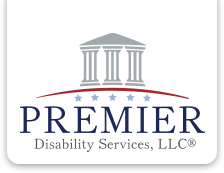 Below are just a few additional resources you get as part of being a client of Premier Disability Services. Premier Disability Services provides prescription discounts to its clients. Even if you have health insurance, you may get an additional discount off your co-pay with our prescription discount card. If you are a current client of Premier Disability Services, just contact one of our disability experts at 1-855-773-2727 to get your prescription discount card. If you have not signed with us and would like to find out if you qualify for a prescription discount card, contact us by completing our free evaluation.